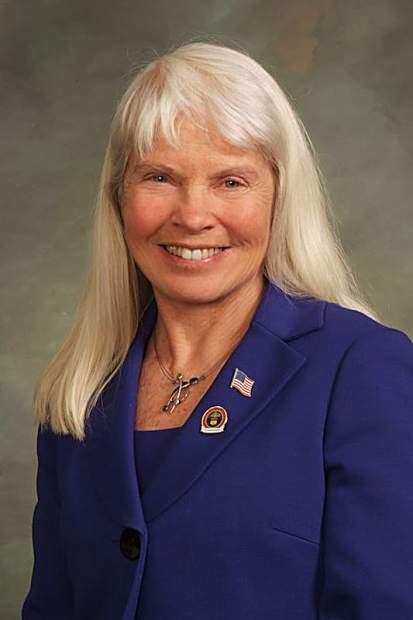 Mitsch Bush seeks to represent Eagle County, 3rd Congressional District in Washington, D.C.
EAGLE COUNTY — Diane Mitsch Bush is getting a firsthand look at just how big Colorado’s 3rd Congressional District is. Mitsch Bush, a Steamboat Springs Democrat, is challenging incumbent Scott Tipton to represent the district in Washington, D.C. To do that, she’s putting thousands of miles on her car, driving from one end to the other of the sprawling district. Congressional seats are based on population, not geography. To get enough people into the district, it includes Grand Junction, Pueblo and the entirety of the state’s Western Slope. The district includes 29 of Colorado’s 64 counties. If elected in November, Mitsch Bush said she’ll do her best to be in the district every weekend, or nearly every weekend. The plan would be to fly into Eagle, Montrose or other regional airports and radiate out from there. “The goal is to have as many town halls as I can,” Mitsch Bush said. While the district ranges from cities to high mountains to high desert, Mitsch Bush said the biggest surprise she’s had is what people in the district share. Caring about community is how Mitsch Bush got involved in public service. Those days started shortly after she moved to Steamboat in 1976. After not landing a job teaching sociology at Stanford — “Thank God I didn’t get it,” she said — Mitsch Bush started getting involved with her new community, working on issues including agriculture and water rights. Eventually, Mitsch Bush was hired at Colorado State University in Fort Collins, staying in that city during the week and coming home to Steamboat on weekends. While staying in Fort Collins in the 1980s, Mitsch Bush spent time on local committees, including the mayor’s committee on the status of women. She also served in a community group to aid battered women and with the Fort Collins Police Department. In the 1990s, Mitsch Bush moved her work to Steamboat, taking a post with Colorado Mountain College. She quickly got re-involved in the community. That involvement included spending 10 years as a volunteer on the Routt County Planning and Zoning Commission. In 2006, she ran for, and won, a seat on the Routt County Board of Commissioners. In that job, she came to know county officials from around the state and said she gained an understanding about the issues common to county governments, particularly water and transportation. As a county commissioner, Mitsch Bush also served as Routt County’s representative to Club 20, the Western Slope lobbying group. 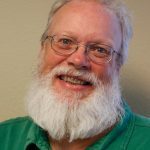 After serving two terms as a county commissioner, Mitsch Bush ran for State House District 26, which encompasses all of Eagle and Routt counties. She was elected three times to that seat. In Denver, she served on committees overseeing agriculture, natural resources and transportation. Mitsch Bush could have run for one more term in the state legislature, but her plans changed in May 2017. That’s when Tipton voted for a bill that would have replaced the current Affordable Care Act, or Obamacare. “He said the bill would lower premiums and deductibles … but the bill would have raised premiums and deductibles,” she said. Mitsch Bush added that Tipton has backed bills that would have started the process of either selling public lands or transferring them to the state. Mitsch Bush also said her opponent doesn’t hold public town halls, using telephone sessions instead. If elected, Mitsch Bush said she wants to focus on infrastructure, from roads to rural broadband access to enhancing water quality and quantity across the mountain west. Right behind infrastructure are “basic protections for public health and the environment,” she said. While it remains uncertain which party will control the House of Representatives next year, Mitsch Bush said she’ll work with representatives of both parties, if elected.